You can watch highlights of Manchester City v Tottenham and six other Premier League games on Match of the Day at 22:20 GMT on Saturday on BBC One and the BBC Sport website. Tottenham's title hopes are over and, whatever happens when they play Manchester City on Saturday, they are just fighting to finish in the top four. But Mauricio Pochettino's side can still do some serious groundwork at Etihad Stadium for future success, starting with the way they approach the game. For a team that talk about themselves as future Premier League champions, their record under Pochettino away from home against the rest of last season's top six is getting a bit silly. It is not just their results that have been poor. I cannot remember the last good performance they put in against any of those sides away from White Hart Lane or Wembley. So they have to do something different this time, and lay down a few foundations for big games to come. That could happen if they show more guile and fight, especially early on, rather than just going there thinking 'we are a good passing side, we are here to play nice football' and getting rolled over again, like they were by Arsenal in November. For me, Spurs achieving anything in this game will come down to their mentality. Do they actually believe they are a side that belongs to be challenging to win things as well as fighting for a place in the top four? They need to show it now, because all I have seen from them at Anfield or Old Trafford over the past couple of years, and specifically at Emirates Stadium this season, is a lack of belief. If they go into this game like that, then they are going to get absolutely destroyed. Their season has constantly been on a knife edge anyway, and if they are badly beaten by City then it could seriously knock their confidence. I never questioned Tottenham at White Hart Lane - I fancied them to beat anyone there. They are looking more comfortable at Wembley now too. But going away from home, with a team that is chopping and changing very week, I do not have that same confidence - especially at the moment. Spurs are only only two points down on their total after 17 games in 2016-17, and Harry Kane is still just as deadly in front of goal but, otherwise, things do not feel quite the same. I have seen flashes of them in full flow, but they have not done it as consistently as they did last season. Then, there were weeks and weeks when they went on the attack and were so quick, sharp and fit, that they were almost unplayable. This year it has been far more stop-start, from the highs of the Champions League games against Real Madrid and their 4-1 win over Liverpool, to performances that have been so poor, they have been pretty shocking. Initially Wembley was a big factor in Tottenham's inconsistent form, but I think it has been caused by personnel as well. Victor Wanyama has not played since August because of a knee injury and Pochettino has not found a midfield combination that works as well without him. Spurs have missed the kind of imposing dominance that they had last year when Wanyama and Mousa Dembele were together and at their best. Even when teams press them, Wanyama and Dembele are strong enough to hold them off, stay calm and keep possession. Harry Winks is very good on the ball and has had moments where he has done very well but the games where he has excelled have been the ones where he has been given space to play. If he is picked against City, it will be a test of how good he is in tight situations, but I don't know who Pochettino will go with this time. It is the same with Tottenham's defence, which has not been quite as effective as it was last year. Yes, a lot of the changes have been forced by injury, and Toby Alderweireld's continuing absence with a hamstring injury is a big blow. But, whereas last season you always knew who would be playing whether Pochettino went with three or four at the back, now I am not sure whether he knows what his best defensive line-up is any more. England international right-back Kyle Walker joined City in July for an initial £45m fee. I would not say Spurs had a disastrous summer in the transfer market because they brought in Davinson Sanchez who is a top centre-half, and is going to get even better. But they lost the best right-back in the Premier League when Kyle Walker joined City. I really like his replacement, Kieran Trippier, and what he brings to the team with the quality of his delivery but he does not have the same electric pace as Walker. It is the same with Ben Davies at left-back too. He is a very good player, and extremely intelligent, but he is not as quick going forward as Danny Rose, who has started only three league games this season. Walker and Rose struck fear into the hearts of opposition defences last season but that threat has vanished now - there is no-one going past people in one-on-one situations out wide. If Pochettino does not go with Rose at left-back on Saturday I will be in shock, because he and Walker have such similar attributes and would go toe-to-toe down that flank. But he rested Davies in midweek so it looks like he will play instead, which is not a scenario that gives me much confidence for Spurs. Why has Alli's form dropped off too? Dele Alli has not weighed in with the number of goals or assists that you would expect from him recently, and I have noticed he is also giving the ball away too much at the moment. I watched him against Stoke last weekend and there were at least 10 occasions in that game where he received the ball in that pocket of space he likes to find between defence and midfield, but lost it when he turned and ran into an opposition player. I don't know whether it is down to a lack of confidence, sharpness or fitness, or if he is not seeing certain things, but Alli seems to be finding the game a lot more difficult than he has done in the past couple of years. Some of it is down to what else is happening around him though. Because the team dynamic is not functioning the way it has been, or should be, the gaps are not there for Alli. There are no full-backs or wing-backs flying down the flanks, pushing the opposition defence back and leaving him room to operate in. I don't think teams are as scared of Spurs anymore, and it is affecting their other attacking players too. Son Heung-min is doing his best to try and run at defences and stretch them but all he is doing is making the space where Alli plays tighter and tighter. So yes, Alli is a long way below his usual standards, but it is not all down to him. When you analyse City and the way they are playing right now, the only comfort I have before Saturday's game is drawn from Tottenham's history. By that I mean their record at Etihad Stadium since City moved there in 2003 rather than against big sides away from home, because if I were just looking at that I would have no confidence at all. But it is a ground where, even when I was at Spurs, we just seemed to play well and get some good results - including at the end of the 2009/10 season when we qualified for the Champions League for the first time by beating City. The best hope Spurs have of making that happen again is by attacking them, not sitting back. If you do that, City will wear you down in the end. I saw Shakhtar Donetsk and Napoli go at City in the Champions League and, although they both lost, they did very well. Until John Stones is fit again, City do not look as stable at the back and they will drop points at some stage. If they go for it, I think Spurs will score on Saturday, it is just what else happens at the other end that is the worry for Pochettino's side. 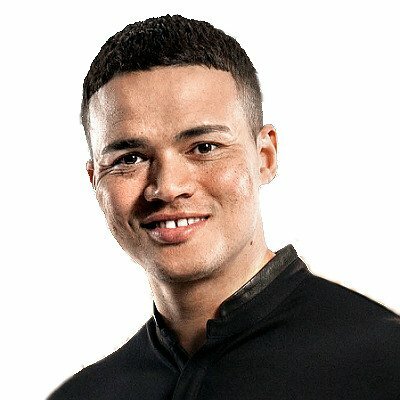 Jermaine Jenas was speaking to BBC Sport's Chris Bevan.